So speak of the devil. 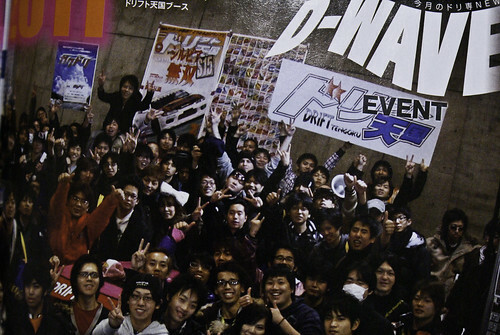 In my last post I was talking about this magazine ,Dorifto Tengoku ( ドリフト天国 ), and to my surprise I found my face in it. At the Tokyo Auto Salon there was a group picture taken at the Drifto Tengoku booth towards the end of the event where I was. After it I totally forgot about it, but there it was in the March edition. Not a life breaking event but none the less I had a laugh. Try and guess which one is me (hint I’m the only one who isn’t Japanese). Now it’s just time to get my picture in the mags for something with a little more substance.